All participants are guaranteed 4 games (5 for play-off teams. The final system of play will be announced after registration is completed. The banquet will be held on Saturday. Dear Curling Friends! 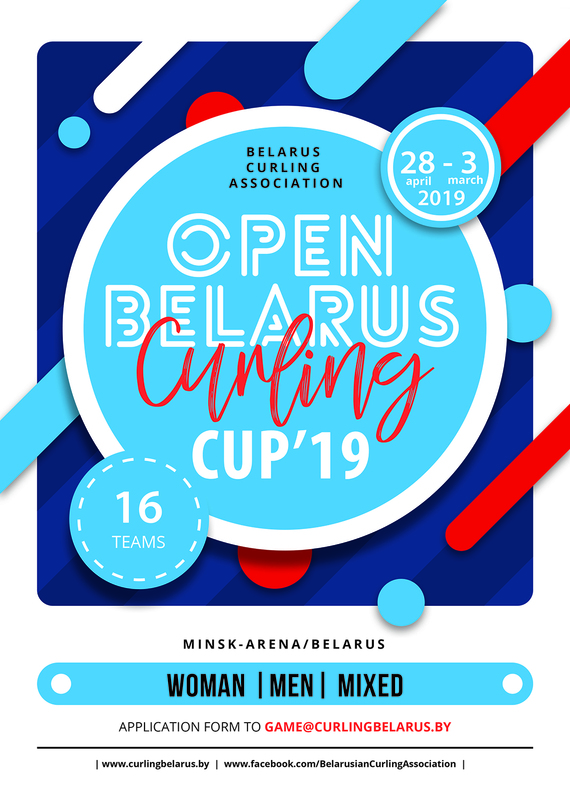 We would like to invite you to the Belarus Open Curling Cup 2019 in Minsk, Belarus. Tournament will be held 28.02.2019-03.03.2019 / Minsk-Arena, Pobediteley 111. Team types: men, women, mixed. Tournament format: The games will be start tart at 18:00 on Thursday and final games at 15:00 on Sunday. Maximum of 16 teams will be able to participate. All participants are guaranteed 4 games (5 for play-off). The final system of play will be announced after registration is completed. The banquet will be held on Saturday.